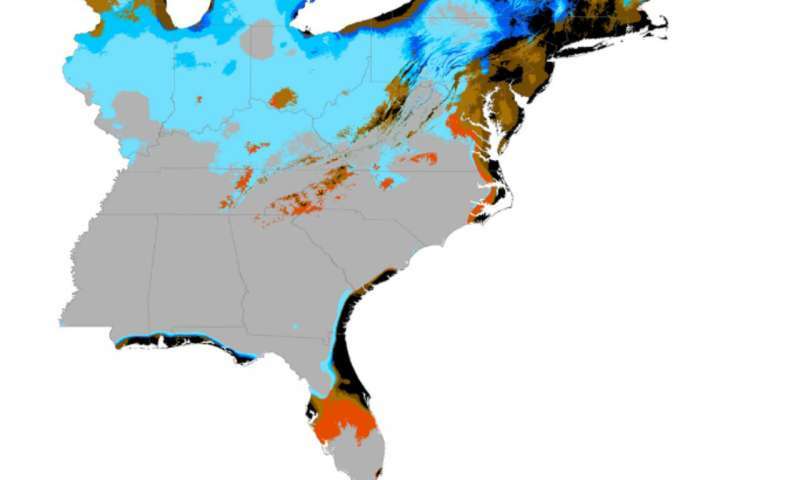 "It was surprising that nobody had looked at ragweed distributions in the U.S.: As climate conditions are changing, where will it spread to in the future?" said corresponding author Michael Case, who did the work as a postdoctoral researcher in the UW School of Environmental and Forest Sciences. Several studies of ragweed's future geographic distribution have been done in Europe, where people are concerned because this invasive species is expanding its range. This is the first study to consider future ragweed distribution in the United States. Case's previous research looks at how climate change may influence the distribution of various species, mainly native trees in the Pacific Northwest. Co-lead author Kristina Stinson, an assistant professor of plant ecology at UMass Amherst, is an expert on ragweed, including mapping allergy hot spots in New England. America, so it affects a lot of people," Stinson said. "Weed control boards, for example, might include ragweed on their list to keep an eye out and monitor for," Case said. "Historically they might not have been looking for ragweed, but our study suggests maybe they should start looking for it." The study only covers the region east of the Mississippi River because that's where there were enough ragweed observations to run the model. The plant is commonly found in Illinois, Florida and the eastern seaboard from Washington, D.C. to Rhode Island. It is possible that ragweed would also expand its range westward or north into Canada, Case said, but those areas were outside the scope of the study. "As the climate becomes less suitable, there may be opportunities to try and displace ragweed. Maybe that is the silver lining—that there are some opportunities for those communities to actually get some headway on mitigating or even eradicating this species," Case said. Models show an overall surge in ragweed in the eastern U.S. by the 2050s followed by a slight overall contraction from the 2050s to the 2070s, as temperature and precipitation become more variable. "It is kind of an interesting case study of climate change effects: It's not all bad, it's not all good," Case said. "We don't have a lot of models like this that tell us where individual species may go under different scenarios," Stinson said. "Ecologists are working on doing this type of study for more species, but there are not always enough data points from around the world; individual species data are rare. 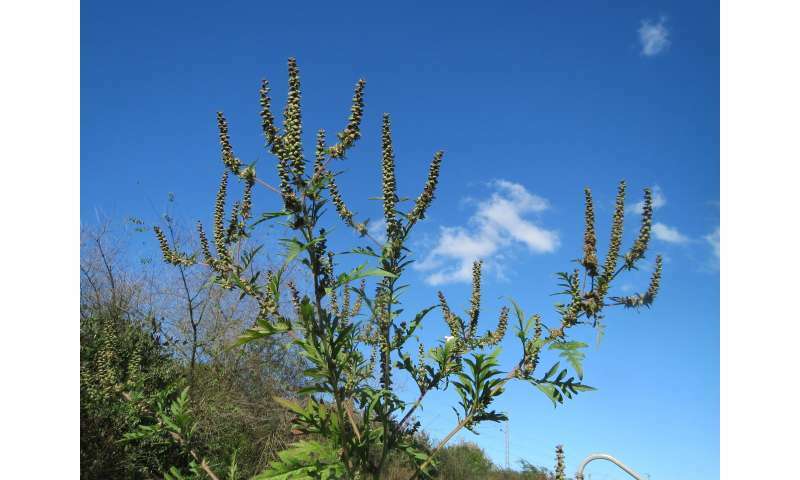 But ragweed happens to be quite abundant, which made this study feasible." I don't see the sky falling. I do see the changes in the environment that are accelerating. I live where seasonal onsets are marked by sensitive identifiers such as first blooms, first frosts, leaf fall, insect prevalence, and several more. Every one of them show accelerating alterations that cannot be accounted for by normal cyclical variations. You are free to express your opinions, but the facts remain nonetheless- which you and your fellow deniers cannot change.